Tom Johnson has turned 85 and has suffered a few events, though he knows his mind is sharp. His oldest son, who had Down Syndrome has died, and his remaining two children want to move him out of the homestead lake house and into a retirement home in town. What Tom wants to do is to find the only woman he ever loved, a woman he met in the Netherlands where he was stationed during World War II. And so he slips away, deftly covers his tracks, and begins his search for her in Eindhoven. While his children try to track him down and then have him extradited back home, Tom delves into love and loss and the value of memory. Soon he catches sight of a woman he believes to be Sarah, the love he lost almost a lifetime ago. He will have to fight for her affections and forgiveness, even as he fights for the legal right to stay in the Netherlands in the name of love and family and all the remaining rights of an old man. Peter Ferry is the author of the 2008 novel Travel Writing. His stories have appeared in McSweeneys, Fiction, StoryQuarterly, OR and Chicago Quarterly Review. He is the recipient of an Illinois Arts Council Award for Short Fiction and is a frequent contributor to the travel pages of The Chicago Tribune and WorldHum.com. What is Tom Johnson afraid of? What is he not afraid of? Is the gamble Tom takes in running away from home reasonable? Is it realistic? In the last fifty years the life expectancy of Down syndrome people has more than doubled from about twenty-five years to more than fifty years. While advances in medicine account for some of the change, the main causes appear to be social. As late as 1960, people with Down syndrome were routinely institutionalized usually at the age of six. In the years since, however, it has become increasingly common for them to continue living at home with their families, to go to school and to work in their own communities. In fact, that’s now the norm. What does this change say about our society? The author says that Nora started out as a device to keep Tom informed of events at home, but she developed into one of the voices in the novel. What is it that takes her from being only a device and makes her into a character? Tom says that Tony saved his soul (page 68). What do you think he means by this? What do you make of Pim’s question, “Isn’t what you think you see what you see?” (page 217). Tom describes his relationship with Pim as existing “at the confluence of imagination, memory and perception” (page 242). What do you think he is saying in that line? In the front of Old Heart, Athene MacGruder who is eighty-five says, “You think I was always old, don’t you? Well I wasn’t.” Why did the author pick that epigraph for his book, and how does it inform the novel? 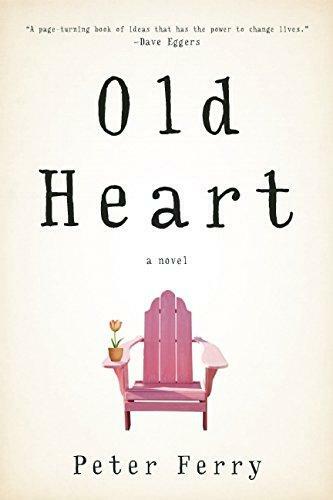 Would you describe the relationships between parents and their children or grandchildren in Old Heart as realistic? The second epigraph in the front of Old Heart is a haiku that reads, “Behold the summer grass,/All that remains of the/Dreams of warriors.” What could these lines mean?